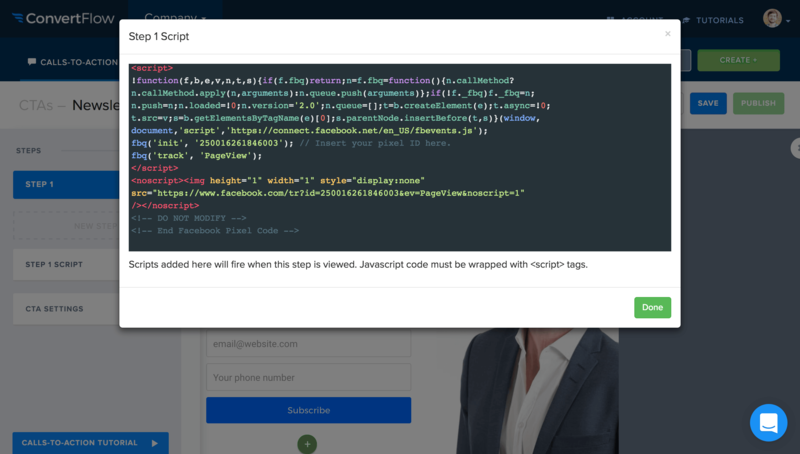 Want to include a script that runs when a person reaches a certain step of a CTA? It’s easier than ever with “Step scripts”. Just select a step from the CTA settings panel, and add your scripts. ConvertFlow will run this as soon as that step is seen by your visitors. Just to give you an idea, many ConvertFlow customers have asked for this ability, so they can track the right conversion goals in their analytics tool or fire off a specific Facebook conversion pixel. What if you needed to fire a script upon a visitor clicking a button or submitting a specific form? You’ll find the option to add a “Completion Script” to any button or form you create. This is very useful if you want to fire a script when a certain button option is selected. 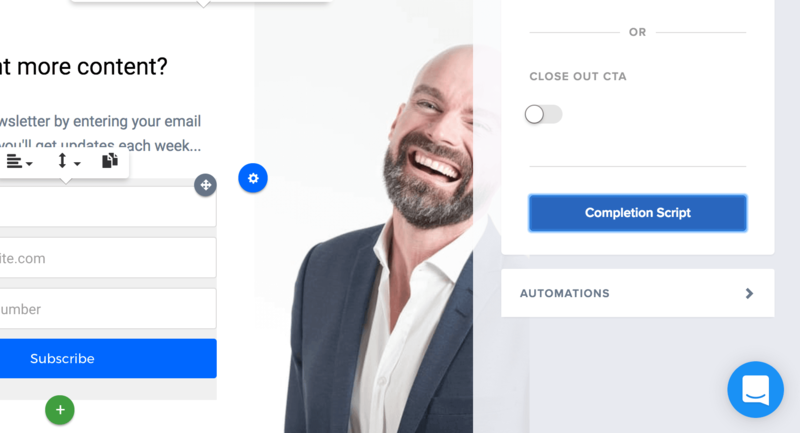 For example, segmenting your visitors into different retargeting audiences based on the button they click in your CTA, or firing a conversion pixel when someone submits your form.